I had an incredible sighting today. At 2:00 pm I was driving in S.E. Rochester heading west down a hill with my brother. 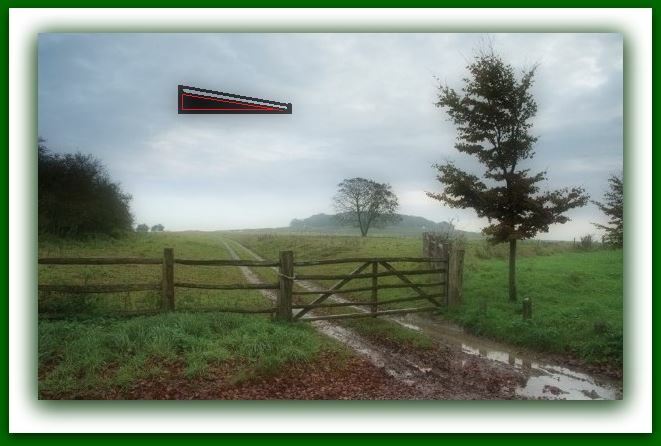 I happened to look off to my left side and saw a huge black arrowhead shaped craft. My brother saw it at the same moment. It was larger than a commercial jet. It was hovering and not making any noise. It was a totally clear day and I would not be surprised to see others report on it. It was just there in the sky and so easy to see. If you looked up there is no way you could miss it. I could not pull over as I had traffic behind me. After looking at it for about 10 seconds trees started to obstruct my view. By the time I got back in the clear it was gone. The time I lost sight of it was about a minute. The craft was flat black and did not reflect the sun at all. On the top going down the side was large ridges that were evenly spaced out. From my angle to it I saw the back left side. At first I thought it was a triangle shape, but it was slightly angled so I could see the back was cut out. I suppose you could say it was boomerang but it was much thicker and more arrowhead-like. It was stationary and did not move at all. It was so crystal clear of a sighting that I am still in awe. I did not see how the craft left. NOTE: The above image is a rendering.